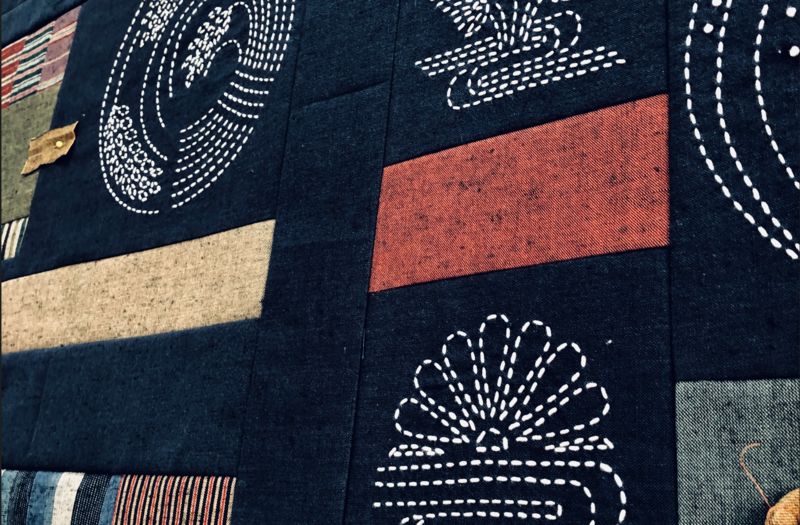 This Block of the Month is a Sashiko Kamon Tsumugi quilt designed by Jane with plants theme and natural colours, final size approximately 130cm x 105cm. Included are the fabrics for the quilt top, instructions, threads, sashiko needle and thimble. All the sashiko is stitched on pre-stencilled fabric and all fabric is 100% Japanese fabric.